While I do quite enjoy a wander round town now and then, I do a fair chunk of my shopping online these days. It’s quicker, easier and I can shop at any time of the day, whenever it’s most convenient. I also like the fact that when I shop online I can compare prices easily, making sure I get the best deal available. And I love that I can get cashback on a lot of my shopping with various cashback websites. Most of the standard cashback websites give you a small percentage of your money back when you buy something online. So if you buy £80 worth of shopping you might get 1% of that back. It might not be much money back in your pocket but it’s a safe and reliable way of getting a little back. If you’re looking for something a bit more fun and exciting though, cashback site Boom25 is worth checking out. 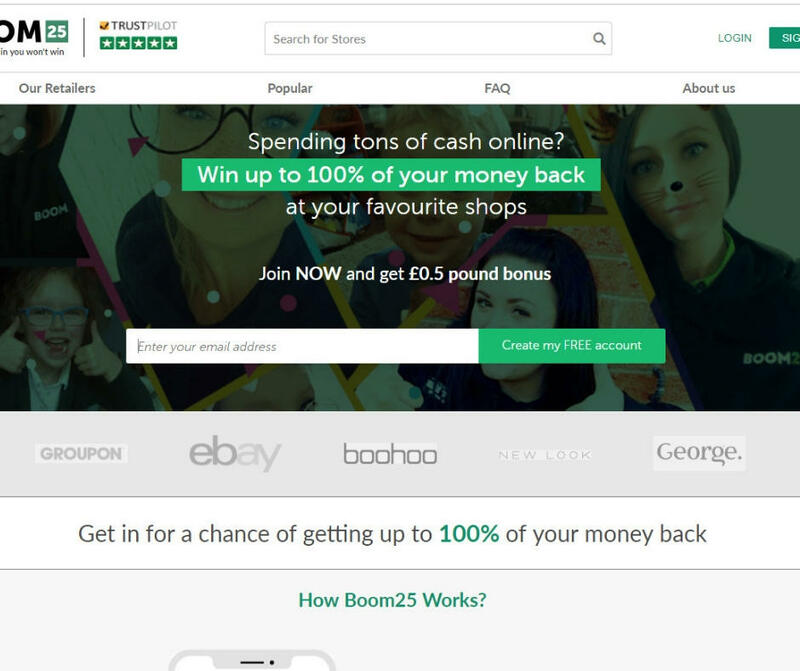 Boom25, for anyone who hasn’t heard of it before, is a cashback website that offers you the chance to win back up to 100% of the money you spend when you buy something online. It’s really simple to sign up, just head to the website and pop in your email address and a few more details to create an account. It’s absolutely free to sign up and at the moment you actually get a 50p bonus added to your account when you create one. Once you’ve created your account you can see all the current deals and offers that are available. The standard deal on Boom25 is that if you’re the 25th person to buy something from a particular website then you’ll win your money back. And then it resets and the next 25th person to shop there will win, and so on. In the ‘hot deals’ section of the website though you can see that there are time-limited offers on certain websites. So at the time that I’m writing this, if I wanted to buy something from Superdrug I would click through to their website via the link on Boom25 and I would have a 1 in 15 chance of winning my money back. 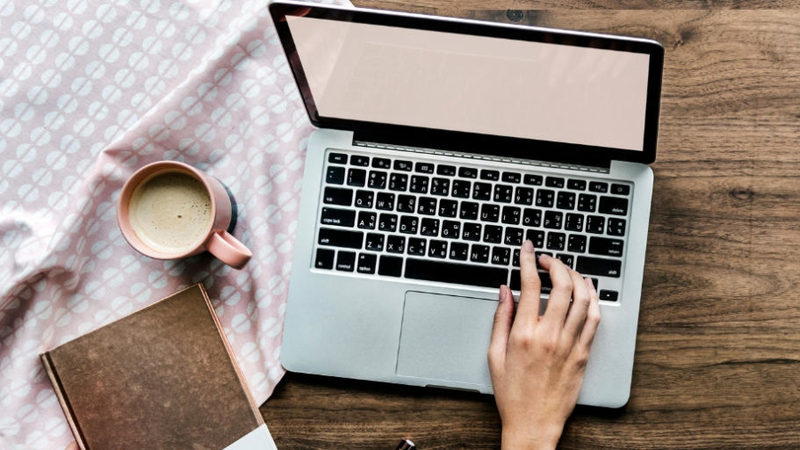 There are over 900 online shops to choose from so chances are whatever it is that you want to buy you can use Boom25 and see if you get lucky. As well as the chance to win cashback there is also a section on the website where you can find the best bargains that are available in some of the online shops. 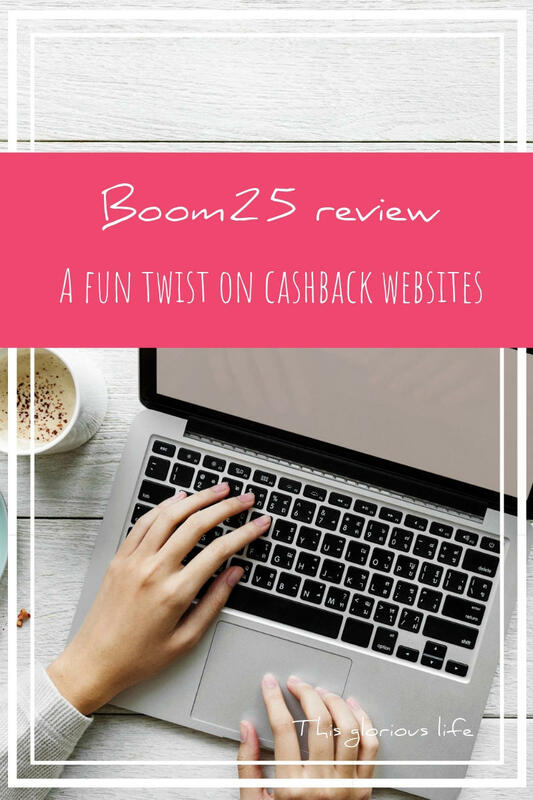 Like with other cashback sites it can take a while for your purchases to track with Boom25, and a bit longer again to find out if you’ve won your money back. This seems to be the biggest issue people have with the site, but from my experience it’s the same with the others, it’s never a quick process to get your money back. 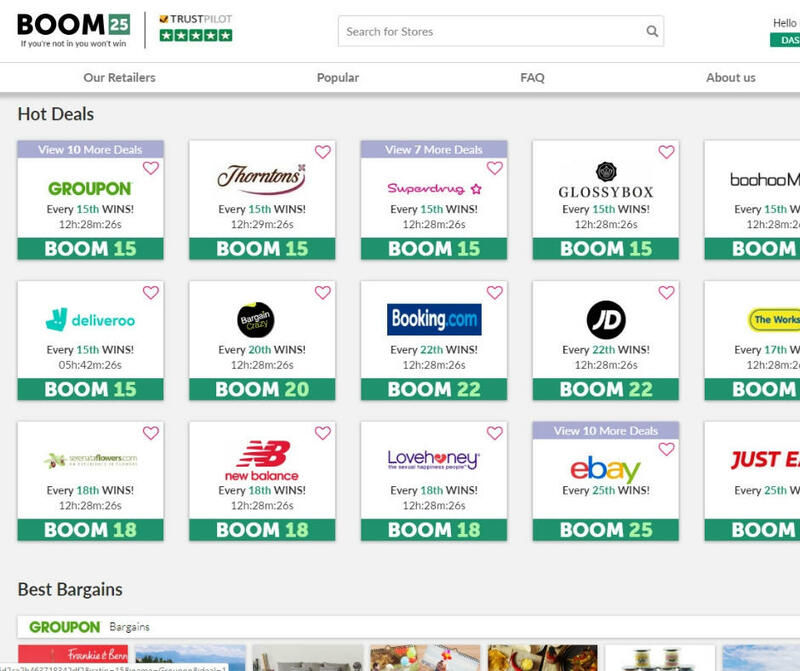 The main downside I can see to using Boom25 over a standard cashback website is that there are no guarantees. If you buy something through Quidco, for example, you know that unless there are issues you will get that small percentage of your money back. With Boom25 there’s a chance you won’t get anything. But there is also the excitement of knowing that there’s a chance you could win all your money back. Depending on what I’m buying and how much I’m spending I’ll definitely be using Boom25 in the future and hoping I’ll be lucky number 25 now and then.